Ha Noi (old quarter) was an experience I wont forget easily, scooters flying by, people walking in every direction and odors that I couldn't quite place . From time to time I truly felt like I was on a another planet. Im not sure I was prepared for the culture shock I just plunged myself into. Hanoi's Old Quarter is a must visit destination if you are ever around south east Asia. The streets here date back to the 13th century and the architecture is in surprisingly good shape, cheap food, cheap beer, friendly locals and scooters for days. 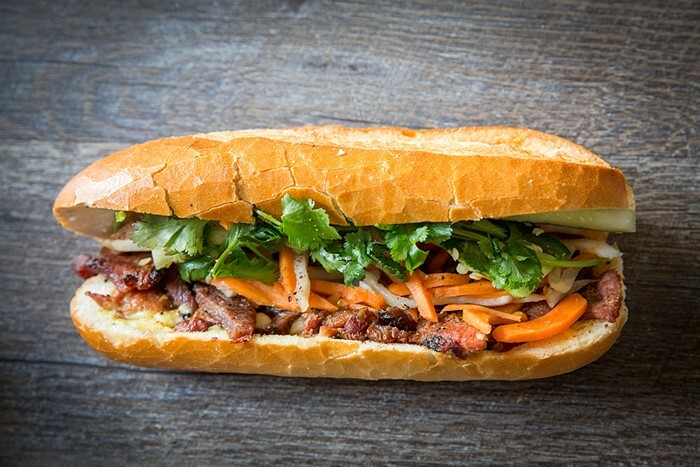 My absolute favorite food in the old quarter was the Bah Mi (pictured below) Oh, and to wash down that bad boy you get yourself an authentic Vietnamese coffee. Trust me on this, seriously. The best on the go meal you will find and at ridiculously affordable prices. The name Ha Noi means "City Inside Rivers" but the original name Thang Long has a slightly more kickass meaning "Ascending Dragon" Below is a vlog I did whilst exploring the old quarter and a bit of the more developed parts of Ha Noi.